Wisconsin has had a few shoveling related deaths this winter. 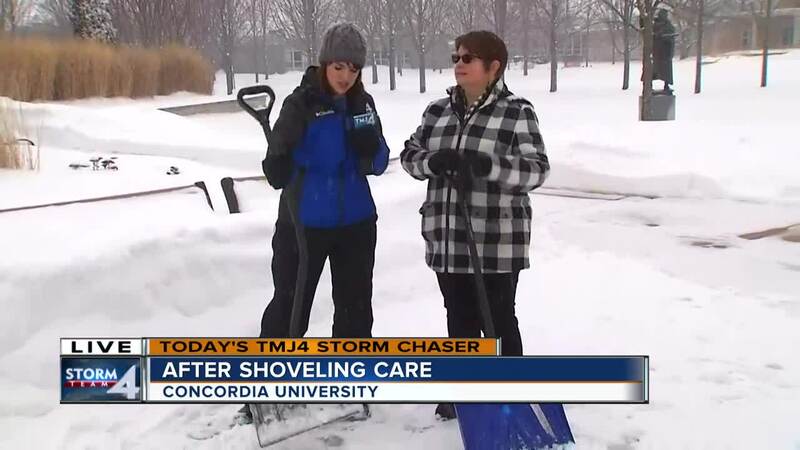 Jesse Ritka talked to Dr. Carrie Scheel, Concordia Chair of the Occupational Therapy Department on how to avoid injury when moving the snow. Though it might be beautiful to look at, the snow associated with this latest storm could trigger heart attacks for Milwaukee-area shovelers. The snow presents challenges for people with heart complications and for the elderly. Shoveling wet, heavy snow often has proven to be fatal. Elderly people and those with heart complications should wait for a helping hand before tackling this heavy snow. The reason this happens is because the snow holds a much greater liquid content when it falls when temperatures are close to freezing. Snow ratios this morning are as low as 8 to 1. That means 1 inch of liquid produces 8 inches of snow. Today's snow is very heavy in weight, especially near the lakeshore. Fluffy, powdery snow can have a ratio up to 20 to 1, meaning 1 inch of liquid equals 20 inches of snow. To sum it up, the more liquid content, the heavier the snow will be when you shovel. Snow amounts in southeast Wisconsin have ranged from about 3 inches in Kenosha to more than 9 in Mequon, as of this morning. 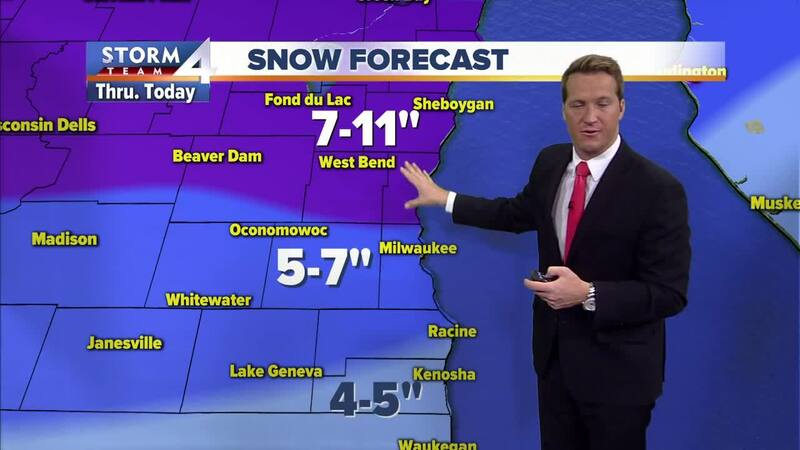 The highest totals are occurring north of Milwaukee. Also, be aware there is a lot of ice on the sidewalks underneath the snow. Please watch your step when heading outside.